This book details the devastating Mau Mau civil war fought in Kenya during the 1950s and the legacies of that conflict for the post-colonial state. As many Kikuyu fought with the colonial government as loyalists joined the Mau Mau rebellion. Focusing on the role of those loyalists, the book examines the ways in which residents of the country's Central Highlands sought to navigate a path through the bloodshed and uncertainty of civil war. It explores the instrumental use of violence, changes to allegiances, and the ways in which cleavages created by the war informed local politics for decades after the conflict's conclusion. Moreover, the book moves toward a more nuanced understanding of the realities and effects of counterinsurgency warfare. 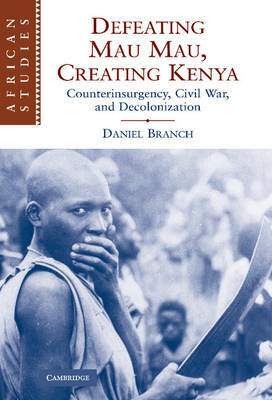 Based on archival research in Kenya and the United Kingdom and insights from literature from across the social sciences, the book reconstructs the dilemmas facing members of society at war with itself and its colonial ruler.